By creating a physical home that is the embodiment of the dreams and unique personality of each youth served and an ongoing community of care, A Sense of Home offers aged-out youth -- the courage to dream and confidence to manifest those dreams, to transform the experience of scarcity to abundance and generosity. 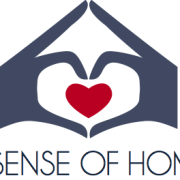 ASOH brings together volunteers to serve as a family would - utilizing donated furniture to make the youth’s first permanent living space beautiful - giving them dignity, self-worth & pride. ASOH builds an organic community apparatus for former foster youth to step into, be a part of, become invested in, and learn from. It is a safe space for them to live in the real world and understand how to show up as a community member and have a voice for themselves and others. Would you recommend A Sense of Home?